Cleaning the house isn’t everyone’s favourite pastime, but for the sake of your health and those who live with you it is crucial to be a reasonably clean or someone could get ill. Why not try and get into a routine and do a little at a time and make it less of a chore. Here we provide some easy ways of making it less of a duty. First you could sit and make a list of the tasks that need to be done over a cup of coffee. Then make a chart and instead of trying to get the entire house cleaned in one go, try to divide the cleaning tasks into mini projects. Try to allocate a few jobs a day. Even one job a day means 7 over the course of a week. So for instance you could empty the bins and clean them out with soapy water and consider the small task accomplished. Next day do the dusting and polishing, the next day the sweeping or vacuuming. Over the days you will get a number of the cleaning tasks done. There is however some cleaning jobs that need to be done regularly such as washing the dishes after eating etc. If you have a dishwasher then you can easily fill it and leave the machine to do its job. Wiping work surfaces as you prepare food is important to prevent germs and bacteria forming. It is essential for your health that you try to do some basic cleaning especially when you are eating or making a drink. It isn’t that hard to wipe up the mess. Often it is better to get used to cleaning as you go rather than leaving it to build up and then have a major home clean on your hands at the end of the week. Some jobs such as changing the beds sofa cleaning and upholstery cleaning only need to be done at least weekly. Though dust and grime build up pretty quickly doing a little at a time or even one room per day means you could spend a little longer doing the entire room from top to bottom. Starting with removing cobwebs, and dusting and polishing the cupboard tops, working down to furniture at your level and down window sills and skirting boards you are getting rid of the dust. It would be a good idea to vacuum up the mess that is formed and then you can shut the door and tick of that room as completed and clean. As you see the results hopefully you could start to change your mind and enjoy seeing the place when it is spotless. After all nobody want to live in a pigsty and when you stop to observe a clean and fresh smelling room it may encourage you to do the whole house from top to bottom. Have a bucket with your cleaning gear in so you can just grab it and go and get some of the house work done. Have a good assortment of dusters, old cloth, window cleaning spray, feather duster and dust pan and brush. A vacuum, mop and bucket and soft brush are also useful. Cleaning doesn’t have to be costly you can wash and use again your cloths, sweeping wooden and laminate floors is a quick way of getting rid of dust and debris from a floor. Soapy water is good for wiping sills, skirting boards, door frames and kitchen and bathroom units. Polish wooden furniture to help control the dust. 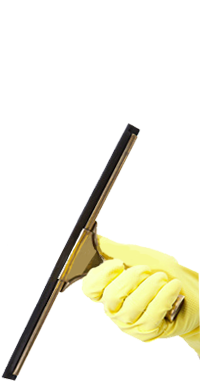 For computers and modern TV’s be sure to use the specific cleaning solutions that can be bought specially for these items. Using general polish will only cause smears so make certain you invest in the proper cleaning solutions.